The siren song of the mermaid has captivated us and captured our imaginations for time immemorial. Now the dream of swimming like a mermaid no longer needs to remain so. 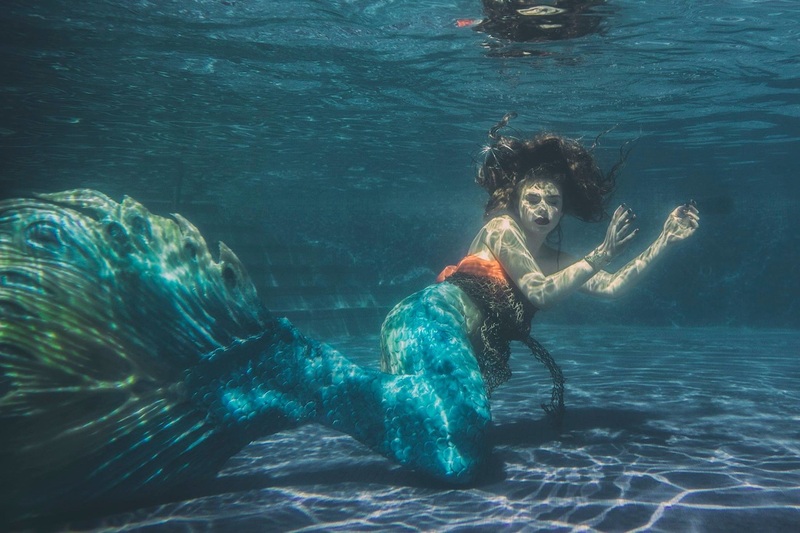 Award winning special effects makeup artist Tracy Falukozi, has taken her professional experience as an artist for the film industry and her science degree (BSc) and created whimsical, durable, high grade silicone mermaid tails that are equal parts functional and stunning work of art. As an established body painter competing internationally at the highest level, the coloring, realistic texturing and 3D scale shaping on these exceptional tails will make them the envy of your mermaid pod. Each tail is unique and hand crafted to your specifications using carefully selected materials. Find out if our mermaid tails are right for you.